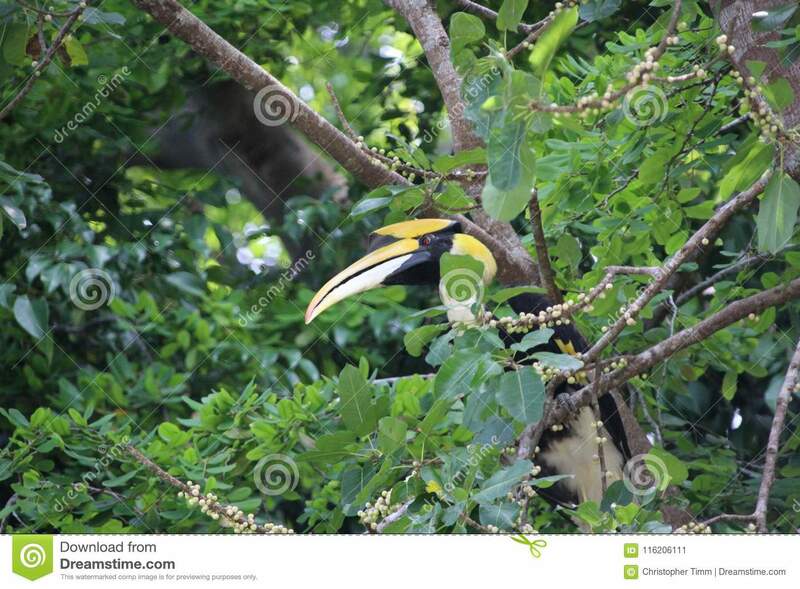 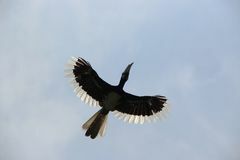 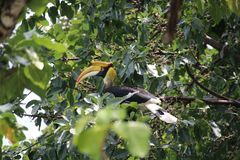 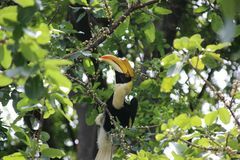 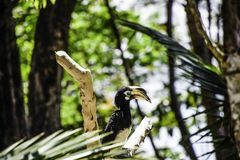 A wild hornbill Bucerotidae sitting in the tree on Pulau Pangkor, Malaysia. 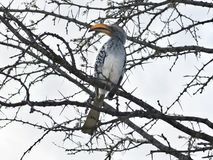 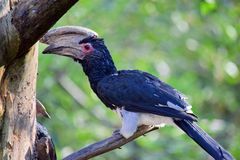 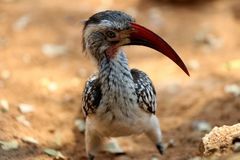 The hornbills Bucerotidae are a family of bird found in tropical and subtropical Africa, Asia and Melanesia. 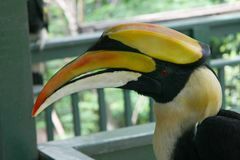 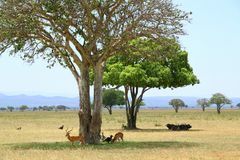 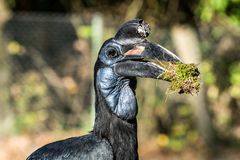 They are characterized by a long, down-curved bill which is frequently brightly colored and sometimes has a casque on the upper mandible. 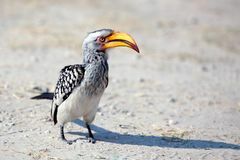 Hornbill bird with bright yellow beak stands on the ground close up on safari in Chobe National Park, Botswana, Southern Africa Abyssinian northern Ground Hornbill, Bucorvus abyssinicus strange bird Red-billed hornbill Wreathed Hornbill perched on branch Trumpeter Hornbill Ceratogymna bucinator Exotic Bird Stock Photo Close up of Animal : Bird - Oriental Pied Hornbill in the afternoon Damara - Damara red-billed hornbill - Rotschnabeltoko - Namibia africa Africa National Park savanna landscape with antelopes, buffaloes Tropical bird Hornbill Toucan sitting on a wooden fence, with big colourful beak in natural outdoor Zoo, Thailand.